John Long (WAVZ) was the Programming genius behind this short lived but fantastic Top 40 format, leased from the Mexican government on XEROK. Located just across the Rio Grande, this station was a ‘Superpower’ AM like none other. Actually, the real history of this ‘Border Blaster’, as it was called, starts in the early 1940s. The original call letters were XELO. In 1941, the station’s high-power transmitter was custom built, efficiently stepping the power up to 150,000 watts. While this is nothing by comparison to Powell Crosley’s WLW Cincinnati and it’s 500,000 watt transmitter, it is enough to make it easily the most powerful AM station in North America. In 1972, A group of American investors leased out XELO and launched a Top 40 format. 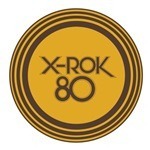 The call letters were changed to XEROK, and the station took on the slogans, “X-Rock 80” and “The Sun City Streaker”. John Long was called in to program the station. Having a radio station in Mexico presented some unique challenges to the Programmer and his staff. The only solution available, due to the impracticability of jocks crossing the border from USA to Mexico for daily radio shows, was to record them ahead of time, which they did in a studio building in El Paso, TX. The jocks would record the shows in real time, as if they were in the actual station, then play them back at exactly the same time the next day at the station. The tapes were sent to Juarez by courrier. Later, in the early 1980s, a Studio-Transmitter Link (STL) Linked the station and its American studios, allowing for live broadcasting. The top 40 format is said to have survived into the early to mid 1980s, but we don’t have a date as to when the lease arrangement ended. We do know it was sometime around when one of the El Paso rock stations took over as the number one station in that city. The demise of AM top 40 even happened at the most powerful one in North America. Heard on this composite: John Long, Christopher Hayes, Eric Chase, Bill Stevens and the hits of 1974! Working at XEROK 80 was a very challenging experience. Since it was a 24 hour delay you really couldn’t talk about anything topical such as scores from the local games. Call in contests were impossible. No weather. No phoners. It had to be all about the music and we certainly did a great job of delivering. I was on the air from 10-2 at night when that flame thrower was heard everywhere that CKLW wasn’t! One other thing. In John’s office he had a DX’ers map with push pins showing all of the locations where XEROK has been heard. It wasn’t a map of the USA. It was a map of the world. Verified listening in South America, Africa, Hawaii and even as far away as Viet Nam. Pat, you were there? I confess, this is another case of I found out about XEROK by doing this website. I got into radio in 1980, at 17 years old. I missed X Rock, and never could have heard it anyway, living in Massachusetts in the shadow of CKLW. What I wouldn’t give for a time machine. Or some more airchecks of this station. Everything about this station is great. The jingle package was one of the best around – same one used at KCBQ San Diego (I got very lucky, Rich Brother Robbin personally handed me a tape of jingles and him on KCBQ.. so I’ve got some hi quality stuff out there somewhere). Anyway. Pat, please, more stories about your time at this amazing station, please! I was there mid 70’s. we had the largest audience ever till satellite radio came on the air. i remember no time or weather, but i remember phones. since we played the same thing over and over requests were always played. the phones were always tied to what was actually on the air. John Long is a really nice guy and was a good jock as well. He’s the President of the Georgia Radio Hall of Fame, of which I am a life voting member. Not only on X ROCK and WAVZ, John also had time on WQXI, WFOX and WZGC (Z93)here in Atlanta and others that I can’t remember. He’s a personal friend as well. Wait…. I don’t think he worked at Z93. Sorry…I think goofed up on that info ! The reason a STL or phone line couldn’t be established between the studio and transmitter was due to the Brinkley Act. John R Brinkley is worth a Google search for what he did at XER and XERA forty years earlier. Long story short, to get Brinkley off the air, mostly for his endorsement of Hitler, the US Government passed the law prohibiting broadcast originating from the US being fed directly to foreign transmitters. The way around this law was to either air a broadcast recorded or broadcast from the country where the transmitter was located. XEROK did broadcast the last few years live from the transmitter but beyond that tapes were delivered daily. The Brinkley Act has been relaxed over the years. XETV received a waiver mostly due to live events on any network they aired. Prior to that network programming was aired via tape parallel to network feeds. I hadn’t ever heard about his endorsement of Hitler, but it was common knowledge that “Doc” Brinkley had a station in Kansas that ran afoul of both the FCC and the AMA by offering goat gland surgeries to help men stay potent longer. His solution was to rise above the purview of both organizations by leasing a border blaster in Mexico that had a further reach than even his Kansas station. He moved his operations to Texas, close to the Mexican border, In order to retaliate, the two organizations spearheaded the Brinkley Act, as you describe. it allowed us to tape our friday shows on thursdays, and drive around and listen to ourselves on fridays. I rarely did that but it was fun having the option. it also allowed xerok to have an audience that spanned most of the west part of america. ppl in smaller markets that didnt have their own stations listened. we got requests from every state west of the Mississippi. Wow. I spent my teenage years in Alamogordo and 1974 was my graduation year. Loving X-Rok80 was definitely not hip at the time so I never admitted it. The playlist was outrageously tight for its day. I remember listening at work, and in an eight hour day hearing the top hits 3 or 4 times. Hearing this aircheck brings a tear to my eye. When they changed format it was like losing a childhood friend. Never had the opportunity to work there but I did the next best thing. Eventually I moved to Tijuana and got my border blasting jollies at XTRA, the Mighty 690. Nothing in this world can compare to the feeling you get when you put that kind of Amplitude Modulated wattage behind your voice. What a blast. The only thing I ever did that came close to giving me a similar sense of power was riding an elephant. I was at XROk80 in the mid 70’s as Don Cook, I did evenings. since it was recorded you could record friday on thursday and drive around and listen to yourself the next day. Jim Tabor came to me and bought me away to go to KENT, then i went back to dallas KNUs. It was a fun ride. XEROK-80 Geez, I remember listening to that station way back before high school. Then it was KLAQ 95.5. I went back and forth, but I love classic, metal, country. Weird combination, but when you grew up on all kinds of music, anything you listen to as a kid, it was appreciated. john long got it off the ground, but his crew left to open another station. they hired the program director from KGRT las cruces and he hired me in the to 10pm slot. they coasted from there. i left and went to KINT fm for awhile. all the dj’s there were gay except me, so i didnt last that long, i went back to dallas. sometimes i run into ppl that remember. The Christopher Hayes mentioned above spelled his name H-a-z-e. Minor detail, but maybe he cares. I was there in ’74 and worked for the El Paso newspapers. XEROK invited Wolfman Jack to come to town for a shift or two and offered his services to voice local spots. He cut one for me promoting the El Paso Times and El Paso Herald-Post and it won an industry award. As far as I know after 30+ years in newspaper marketing, that was the only instance of a spot voice by the great Wolfman. after christopher haze got zerok started they were removed and costs were cut. they hired the program director from las cruces KGRT and he hired me, don cook, to do evenings. I lost all my recordings of that time, if you know of any please let me know? Dennis, in all these years of searching I’ve found XEROK references only at reelradio.com, which is now a subscription site. I once ran across a site where John Long traced his career, including the XEROK days, but can’t remember the exact name. Something like oaidair.com. Joe, I’m going to jump in here for a moment. Since you seem to want more XEROK, I’m going to scour my sources and see if I can find some more airchecks, but they are quite rare. As to the other site, yes they are subscription only. I promise, at least for the foreseeable future, I won’t be charging for this site’s access. The whole purpose of this site is to be an online museum so that we can all enjoy a lost art. Have a merry Christmas, happy Holiday, or however you celebrate! thank you. I’m a disabled veteran from vietnam era who went homeless a couple of times and couldn’t keep my airchecks from KNUS, dallas, KINT el paso (who bought me from XROK), or KFJZ fort worth. If you can find any Don Cook airchecks i will pay you for your time and effort. [email protected]. Steve West, thank you and thank you for what you’re doing here. Another station of note in this days was KINT-FM, which was bought by Jim Taber and to which he brought a few jocks and the general format of KLIF in Dallas. The station sounded great but it could never crack a great rating because the market was generally locked up by KHEY, a country station owned by the millionaire Fred Hervey of Circle K fame. i was one of the jocks tabor bought from xrok, i did evenings for them for quite awhile. everyone who worked there was gay except me. I was let go and went back to KNUS99 in Dallas. Do you remember Jim Kelly? I ran with him for a while back and forth across the border. And that sales manager, Something Ashworth, who looked like Snidely Whiplash? Taber was a very high-energy guy who died far too young. i remember the name jim kelly, but cant put a face to it. How did Tabor die?? I’m guessing aids. Taber died of brain cancer in 1993, age 52. Hey Joe – Did you by chance work with Randy Robins when he was at KNUS ??? He is a good friend who I was in radio with at WQXI Atlanta and we still talk once a week and have lunch together from time to time. I was at KNUS on and off thru the 70’s, I don’t remember a randy robins. I quit radio from KNUS99, big decision. it was against the law to broadcast live, so we recorded the day before and played it the next day from Mexico. On fridays we could listen to our whole shows because we recorded them the day before. I was Don cook. Actually, the owner of the highly successful KHEY was Jim Phillips. Fred Hervey owned KSET. The two Ashworth’s at Taber’s KINT was Chuck Ashworth, the GSM and his son, Clay Ashworth as seller. I worked weekends at XEROK and eventually with Jhani Kaye at KINT. I also worked at XEROK, Kaye and Tabor had me meet them somewhere where they talked me into working for them doing evenings as Don Cook. My high energy didn’t work that well on FM (they said) so they let me go. I believe it was because everyone else at the station was gay except for me. So I went back to KNUS 99 (fm) in Dallas. Of course Mayor Hervey owned KSET, not KHEY. Phillips was so successful that launched an easy-listening station that snatched away even more listeners from the struggling AMs, KELP, KROD and KTSM, although KTSM-FM hung in there with the Drake-Chenault package of hits. Chuck Whatley, you voiced the very first spot I wrote for the El Paso Times in 1974. You were at KELP with Bruce Brown and Dieter Jester, correct? I was hired at XEROK after John Long and then went to KINT98. I never worked at KELP. I remember your name for some reason. very familiar. Sorry. It was for sure a Whatley. I hung around a little with Dave Kelly in the KINT early days. In El Paso only two years. Spent almost all the work life in newspapers around the country. I worKed at KELP FROM 71-73 doing weekends/swing while going to New Mexico St. Worked with Bruce and Dieter. Ray Potter was PD, Nick Rice mornings, Bruce and Shaun Holly middays, Randy Reynolds PMD and John Weitz 7-mid and Guy Phillips also worked weekends. KELP peaked with a 32 share in 1973.
it was KINT until 1979 then became KELP in the early 80’s. I believe Potter was PD in las cruces till he went to XEROK in the mid 70’s, he was my program director at XEROK before I was bought by Tabor and went to KINT. Potter was at KGRT in cruces when i grew up there. do i have any of that right ?? I worked for McCendon at KNUS 99 in dallas for quite a while, then for Bart the son on a sales project. I’ll look for that book, thank you!! Rocco, are you the dude from 1190 KEZY in Anaheim? OMG! Reading this takes me way back. I remember KINT and KELP while I spent one year at NMSU in Las Cruces. As a matter of fact, I think both Ron Hamilton and I (along with Guy Phillips) worked at the campus station (KRWG) that year. I remember Ron working “big time” in El Paso. Those were the days! Fred Morton, I certainly remember you. To set the record straight; Guy Phillips was and is the “big time” player doing mornings in St Louis on Y98 since the early 80s. I went the sales and management/ownership route and am no longer in the business. What about you? Memory Music Bank! That was another special and great section of X ROCK 80. For the people to the southern side of the Rio Grande: this radio station featured lots of innovations, beginning with the music itself, the MMB–what a great way of remembering oldies! Even though there are, and had been great R&R radio stations in Mexico, it was very enjoyable listening to this one. Its Excellent DJ·s, their very clear pronunciation, the funny and concise way of presenting songs together with commercials, the gentle voice and yet fancy way to say XEROK, Juarez, México by the woman announcing it, And the music (of course), made you tune in your radio on 800 KHZ AM. Lots of people will always remember you Dear X Rock 80 Team! Your welcome! it was strange to us because we couldn’t to the weather or time since it didn’t play till the next day. my name was Don Cook, do you remember me on air at XEROK or KINT98? I have nothing from back then to remember that time in my life. I don’t recall you, but i’m I heard you, I listen all the time. Steve Crosno is the only other jock I remember. Was in my teens back then. Finest rock station ever. I grew up listening to XEROK 80. I was listening to John Long. Good Morning Pat. We searching for an old family friend that worked at X-Rock 80 in 1976. Bill O’Brian (William Charles Smith). We believe he has since passed away. (2003 in NM). However if you have ideas on how we could find public photos or airings of bill we would love to hear them! These comments have been a walk down Memory Lane. I grew up in El Paso in the 50s and 60s when there was one TV in the house, so many summers, evenings, and weekends were spent listening to KELP, especially Steve Crosno (“Chicken Fat and Booze”). AM Radio was my link to the outside World. My parents listened to American Standards on KROD (The Golden Sound) and elevator music on KSET. KHEY was Country Western, along with KGRT in Las Cruces (I guess it still is). Some nights I would tune in to KOMA, and at some point switched over to KINT with Sonny Melendrez and his sidekick Herman W. Duck, long before there was a Disco Duck. In the 70s I sometimes listened to XEROK at night, and remember the Mexican woman’s voice doing the Station I.D. in Spanish, which I gather was a requirement. At some point I got married and was working full time, so my late night listening came to an end and I eventually moved to L.A. Thanks for the memories! I’ve always been a lover of rock and roll, back in the late 70’s comes to mind the memories of this radio station, For me it was great to listen groups like mahogany rush, But what I liked most was that it was broadcast in (English), and what’s so strange about it… you may think ? Kind of nostalgic May be ……. Glad you liked it. we recorded 24 hours and then sent it across the border to be aired the next day. My air name was Don Cook. I had the listeners in the west half of our country plus yours, that didn’t have a local radio station of their own (or at least a good one). That’s what we loved about XEROK–no commercials, no news, nothing but music and an occasional DJ comment. I grew up on a farm in Socorro (Texas) and loved having my Sony clock-radio (the one with the numbers that would flip over as it kept time) late in the night next to my bed listening to those long CCR, Steppenwolf, and other tracks that were not allowed to be played on this side. That’s a great memory! OMG I remember Dieter Jester and Bruce Brown on KELP! I just posted that I was listening at exactly that time. I loved the middle of the night w/XEROK on next to my bed and hearing those long tracks that they weren’t allowed to play on this side. I from EP Lower Valley. “the mighty 690” yeah, I also remember! KELP goes much further back than KINT–KINT was, to us listeners,the KELP alt station to punch over if KELP was playing something we didn’t like. KINT as I recall was the second choice though I think in the late 70’s and on it had its own identity as more of a softer rock mix. I loved XEROK for the long tracks played late at night that the stations were not allowed to play on this side. I grew up in Lower Valley/Socorro. We all loved XEROK! I watched Crosno’s Hop on TV when in my diaper, according to my mom. In the 80’s I worked in sales for a while at Z93 ELPaso, and Steve Crosno was on-air there at that time. He was one of the nicest, most kind-hearted people I’ll ever know. Everyone loved him. Cat Stevens also worked there in production. Are you Malcom Crawford I knew at Hardin-Simmons U? Oh yeah, “chicken fat and booze” and all those clips that Crosno used were so hilarious. I’ve never heard anyone in Dallas, Austin, El Paso, anywhere, use that kind of humor—and the one of the woman screaming “get that thing away from me!” so funny to this day. Childhood in Socorro was Crosno on radio at that time and his Saturday dance show. I worked in the 80’s for a while at Z93 where Crosno was on air. He was one of the nicest, kindest people I will ever know. Everyone loved him. I was stationed at Holloman AFB in 1974. We worked mostly around the clock and had the radio on while anyone was in the building. Always glad that XROC 80 was broadcasting our way. Thanks for the late shift music!